Marketing Information: Our 20-Unit Laptop Carts store and charge up to thirty laptop computers. All carts have been certified to conform with UL 60950 standards for Safety of Informational Technology. 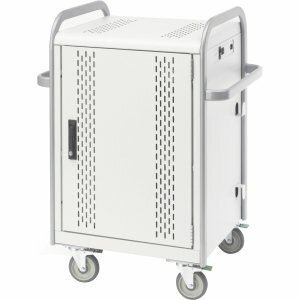 Ideal for security and transport within a classroom.